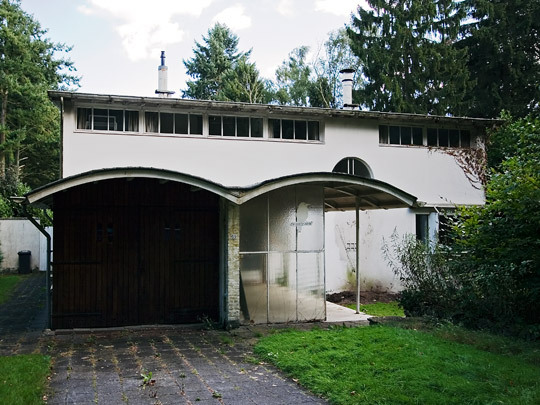 This house for the architect's mother is one of the most functionalist of Komter's designs, still influenced somewhat by his former teacher Le Corbusier. It has an exposed steel frame, a variety of curved walls and sliding and folding partitions. The part containing the garage, kitchen and servants' room is distinguished from the living area but not separated from it.